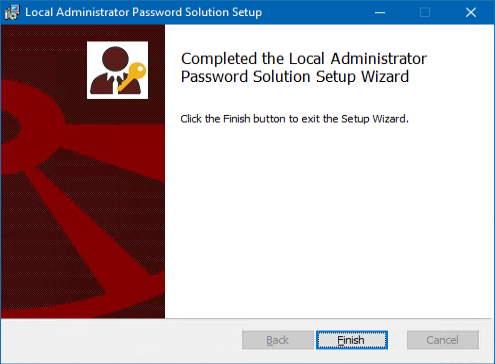 In this article I’ll will explain how to install Local Administrator Password Solution (LAPS) to manage the local administrator passwords on Windows 10, Windows Server 2016 and Windows Server 2019 computers. 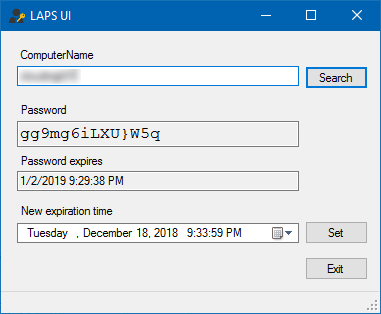 Double click the LAPS.x64.msi from the downloaded files folder. Accept Terms and click Next to continue. Install all the Management Tools. 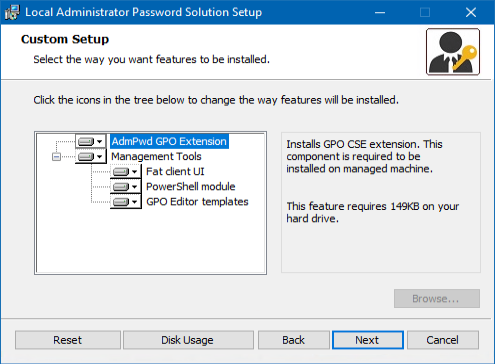 If you plan to manage this computer, you can also install the AdmPwd GPO Extension, click Next to continue. 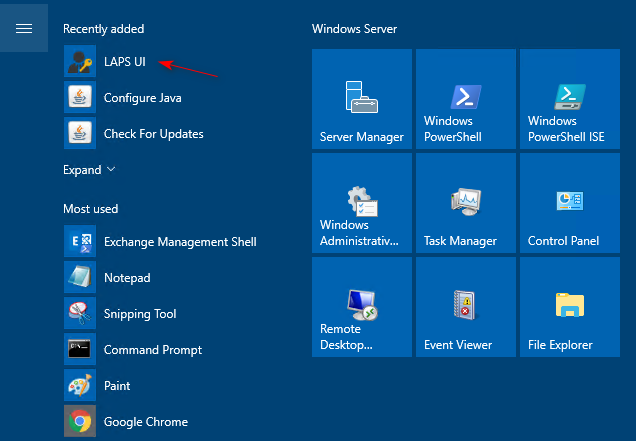 In the start Menu, LAPS UI is available. 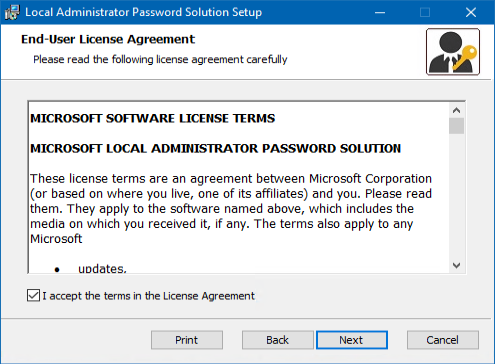 The write permission on the ms-Mcs-AdmPwdExpirationTime and ms-Mcs-AdmPwd attributes of all computer accounts has to be added to the SELF built-in account. 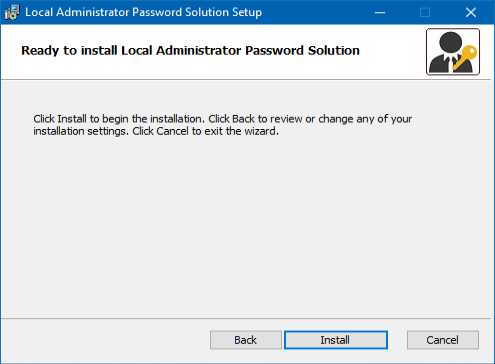 This is required so the machine can update the password and expiration timestamp of its own managed local Administrator password. This is managed per OU. Set-AdmPwdComputerSelfPermission -OrgUnit "<DistinguishedName of OU>"
If you use the Central Store, you need to copy both files to \\domain\Sysvol\Policies\PolicyDefinition. 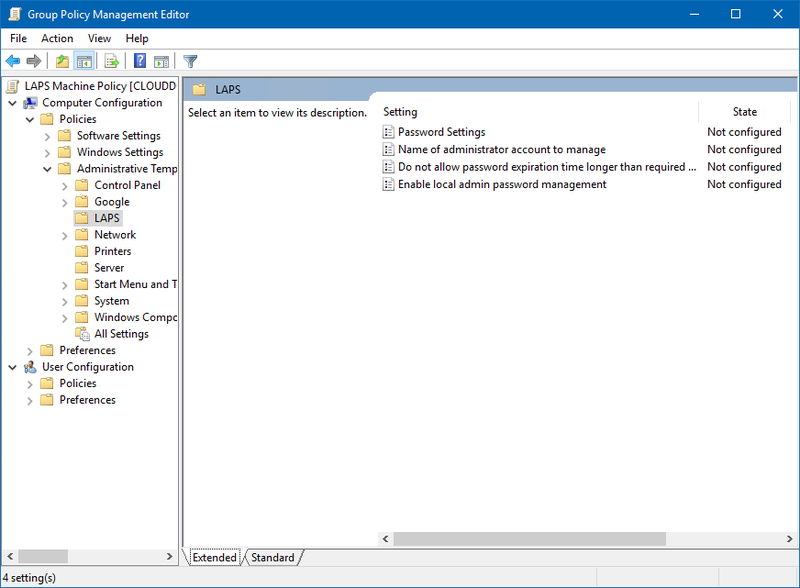 You can find these settings under Computer Configuration -> Administrative Templates -> LAPS. 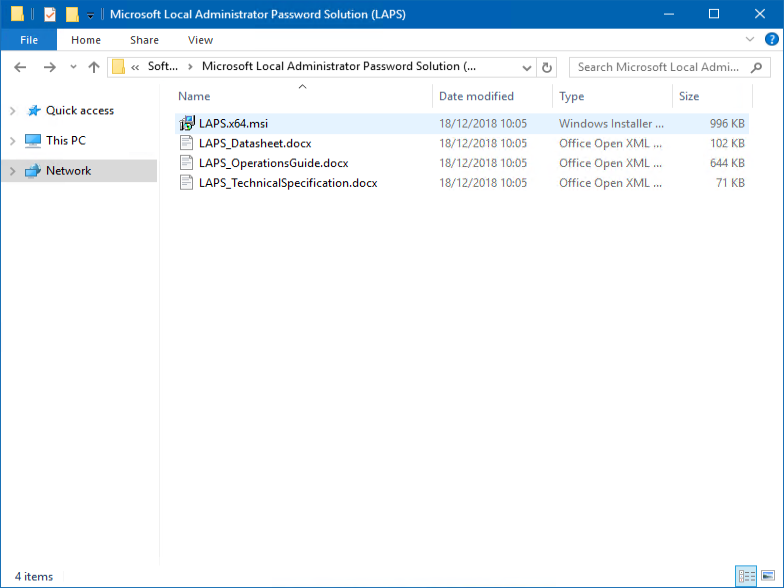 To manage a client, we must install LAPS by using the same MSI files downloaded as described above “Installation Local Administrator Password Solution (LAPS)“. 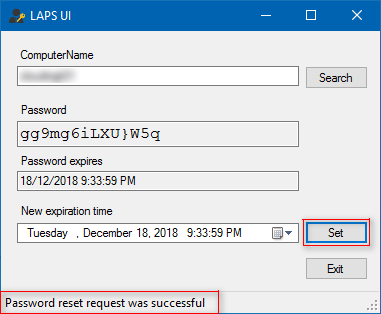 To reset the password, select a new expiration time and click Set. Status of the request is displayed at the bottom.